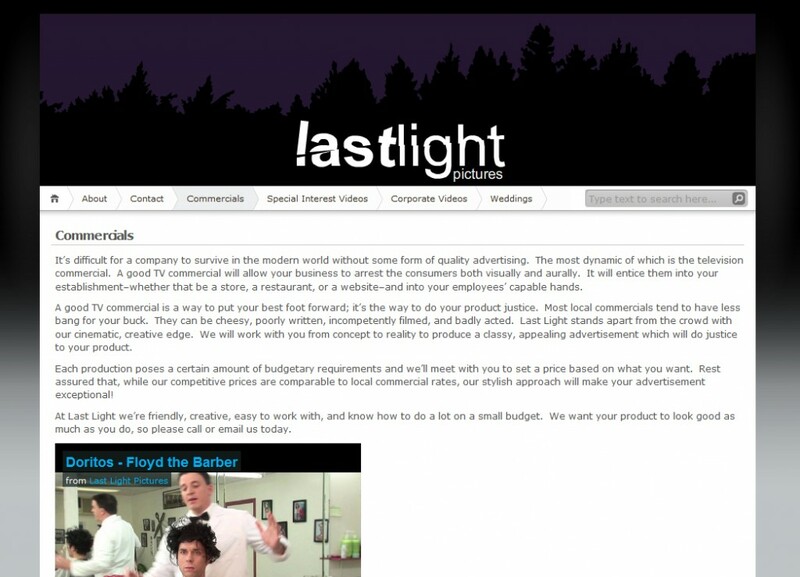 We created a new website and logo for Lastlight Pictures for them to display their video work and give their clients a place to find information about them online. It features a clean look and an easily to update administration panel. The header animation is a visual representation of their name.